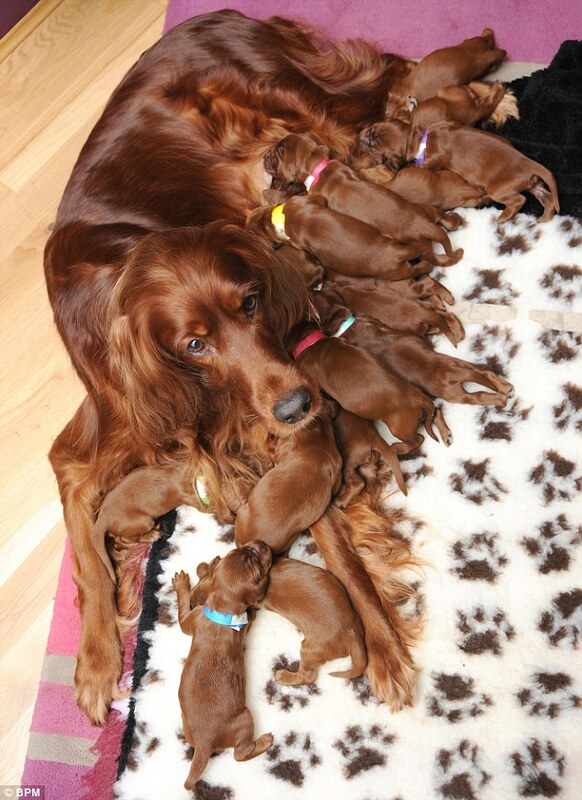 Romy gives birth to huge litter of 15 puppies after eight hour labour. Almost double traditional litter of eight or nine. 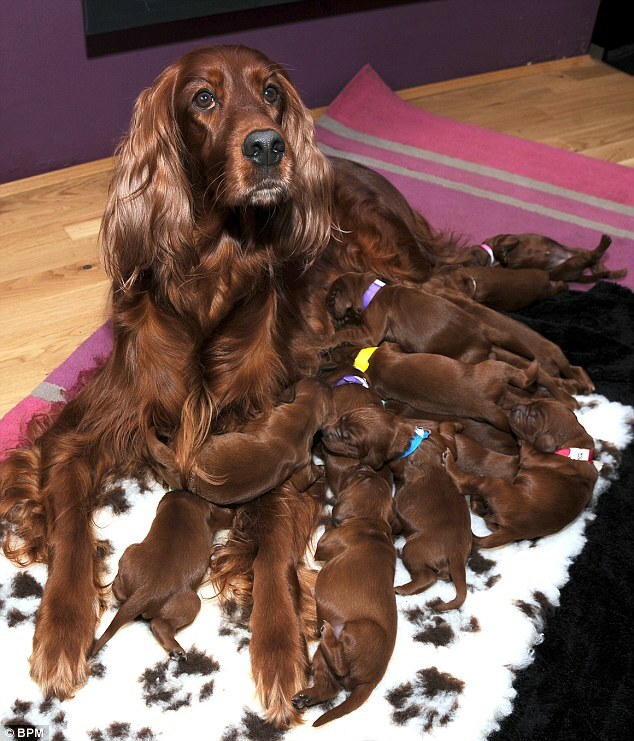 When Romy the Irish setter went into labour, her excited owners expected to have their hands full with eight or nine puppies. After an exhausting ten hours, the litter stood at a staggering 15. Miss White, a qualified vet and dog breeder, said: There is a particular greedy one. She wakes up in between feeds screaming for more milk. We did a scan when Romy was just four weeks pregnant and we thought we saw eight or nine. So you can imagine our shock when she carried on giving birth to more. 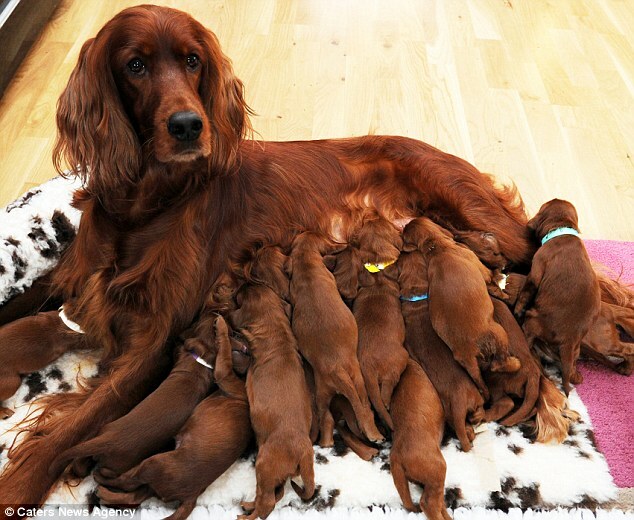 The average litter size for the breed is nine. The puppies father, six-year-old Ruben, is also owned by the housemates, from Allesley, Coventry, and they plan to keep one from the litter, which arrived 12 days ago. The record in Britain is 24 pups which was set in 2004 in Cambridgeshire beating the previous record of 13. 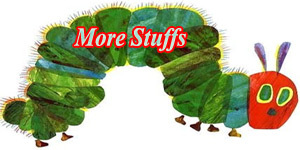 The squealing newborns, a healthy 10 girls and five boys, weighed between 275 and 339 grams. Within just a week they have doubled in size. Despite not being able to open their eyes they have been gulping milk every two hours of the day. Ms White, who specialises in breeding guide dogs, said: 'We did a scan when Romy was just four weeks pregnant and we thought we saw eight or nine. So you can imagine our shock when she carried on giving birth to more. 'She was very tired by the end of it. We gave her a walk round the garden after her 10th one. Then after two hours the others came out. 'The last one to be born was the biggest. It took Romy more effort to get him out than the others. New arrivals: Owner Natasha White with two of the 15 puppies. Despite not being able to open their eyes they have been gulping milk every two hours of the day.